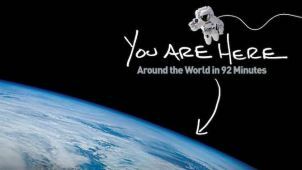 In February it was the premiere of the Rotterdam Academy of City Astronauts going on tour through the Netherlands. A highly interesting experience on how astronauts are looking at the earth as a stage on which we live together with 7.000.000.001 consumers. And how fragile she is! And how important it will be to reach at least the SDGs in 2030. Especially when we observe the world as astronauts we can get the right feeling about the urgency and the best possible overview of all problems and possibilities. Thanks to the great storytelling of initiator Marjolein van Heemstra the bigger picture of human development becomes very real and highly motivating! And who wants to see the Earth from the astronauts perspective themselves a visit to the unique Earth Theatre in Kerkrade (Netherlands) is recommended. It was in Davos again that all aspects of how to achieve a better world according to the SDGs were discussed. Almost all discussions were enthousiastic, constructive and relevant in themselves and in relation to the worldwide questions. Too much positive developments for a journalist to decide on what to report! So please look at the website of the World Economic Forum yourself to experience the vibration of Another World in the Making! The future of globalization will depend mostly on where commodities are found, trade routes are developed and cultures cooperate, coexist or "clash" with each other. 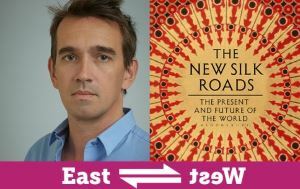 The bestselling masterpiece Silk Roads (2015) was about the past, this book The New Silk Roads (december 2018) is about the future. A must-read for everyone who is interested in the economical roots of globalization and human development. This was the essence of our article "About the quality of life" which we wrote for a conference in 2008. It was published on the website of the PDSE conference about sustainable and socially responsible economics at the university of Tilburg in the Netherlands. Especially the word "REASONable" was meant to focus attention on all kinds of REASONS in the division of all created welfare (GDP) into all kinds of income. How much do you really need for daily expenses, insurances, study or other expenditures, for all twelve necessities of life? Because the discussion about basic income is in fact the starting point for the much bigger discussion about all levels of income between a dollar per day and ten million per year. November 28 an evaluation and a wider discussion about basic income took place in Amsterdam at Pakhuis De Zwijger organised by the VPRO tv channel for future journalism. A long interview with Rutger Bregman and discussions with many others and the public as well. What is the progress five years after Rutger's TEDxMaastricht talk and what are the perspectives today and tomorrow? The most interesting opinion was that basic income in western countries is already existing but named otherwise such as social security, medical assurances, payment for unemployment, and finance for study and retirement. The discussion about basic income is not about the gap between rich and poor in general. But it can help us think about it in the years ahead. 21 Lessons for the 21st Century - 21 Challenges for Consumers! 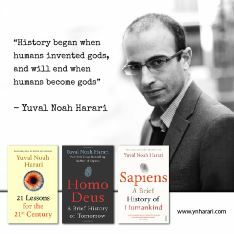 Yuval Noah Harari is professor of history in Israel and wrote his third masterpiece! After his books about the history and the future of mankind this one is about here and now. About the world problems of today and the challenges there are. The big picture of what is happening in the world and what the options are to go forward towards the future we REALLY want! 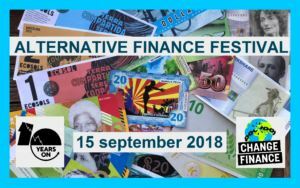 The Alternative Finance Festival (AFF) was a grassroots festival throughout the Netherlands which celebrated the financial alternatives that already exist and everyone who is working on financial change, from citizen co-ops to ethical banking, from local currencies to unconditional giving. On 15 September 2018 it has been 10 years (!) since the fall of the US bank Lehman Brothers. It was the start of the financial crisis and it cost governments billions trying to save the banks. 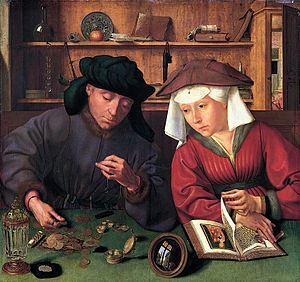 Since then several measures have been taken, but the financial sector has not fundamentally changed and we are happily moving on to a next crisis. The Alternative Finance Festival took place to show that not only things must and can be different, but that there are already many alternatives paving the way! 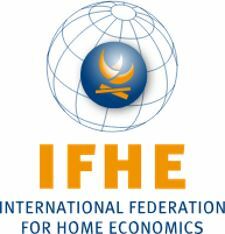 IFHE Conference: What is Happening in Home Economics? The IFHE conference last August in Osnabruck, Germany was about the latest developments in home economics, also in relation to world economy, sustainable development goals and rethinking economics and education. The International Federation for Home Economics was founded in 1908 so it is also celebrating its 110 years anniversary. The conferences in 2019 and 2020 will be in Trinidad and Atlanta, USA titled "creativity and innovation in home economics education for sustainable development". The IFHE is partner of Consumers International and United Nations. At the conference there were sessions about research, education, consumer issues, financial literacy and sustainability. We gave a presentation on the MoneyManager360. THE easiest toolkit for bookkeeping our daily expenses for our 12 necessities of life. Home economics changed because humanity entered the 21st century. 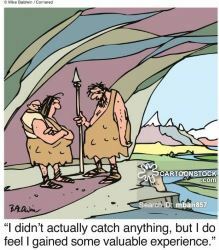 We now live in the age of wanting to know everything, searching for the most relevant arguments and taking responsibility for our decisions and expenses. For the future(s) we want. This year the High-Level Political Forum HLPF on the Sustainable Development Goals 2015-2030 took place at the United Nations Headquarters in New York July 9 - 18 including one day especially for the Partnership Exchange (we were there in 2016). The "hot items" this year were goals number 6, 7, 11, 12, 15, 17. 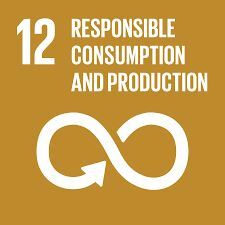 Of which number 12 is on consumer-producer relations for sustainable development - which is our main goal! Because only by good relations the best possible sustainable developments can be achieved. June 9 was the 70th birthday of the International Council on Archives ICA in Paris founded together with UNESCO. Called International Archives Day and promoting all archives worldwide to "go out of the box - into the world" so that everybody can learn from the past to build the future we want. Because "the records that we preserve and make accessible ensure that the deeds and achievements of all individuals are not forgotten. They ensure that the rights and entitlements of citizens are recognised and respected. They hold the intellectual capital that will fuel our information economy. And they are the evidence of government actions that hold our governments and their officials accountable to the people that they serve. You cannot change the past, but you can change the future. 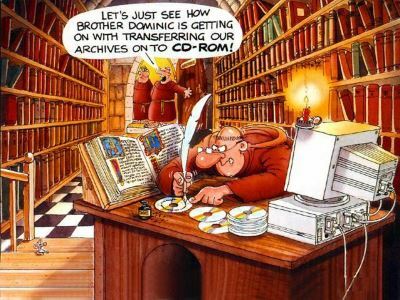 And this is the principal purpose of Archives. To bring the past to the present and enable us to construct the future we want" (David Fricker, president of ICA). In Maastricht we organized an Open Day to present our Consumer360Archive on the history of the consumer from the 20th into the 21st century, when consumer initiatives became consumer groups and consumer organizations. This year the State of the World published by the Worldwatch Institute has got the highly inspiring title "EarthEd - Rethinking Education on a Changing Planet". 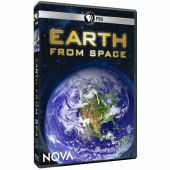 About educating the next generation to take over the responsibility for nature and for the prosperity of all mankind. Of course the book is more comprehensive than the one-page Annual Report 2014 on our own website (See: About us). This was especially written for consumers and the twelve consumer organizations working towards an economy of question and answer together with producers, traders and bankers. And that means: life(s)long learning! Fifty years after the student revolution in May 1968 around the world many people, consumers, citizens, companies and politicians are working together in dialogue about quality of life, quantities of products and services and true pricing for true income. Some people doubt the progress made after the uprising capitalistic trends. But most people and most politicians in the Netherlands and the world as well are now really optimistic about the progress made and the trends towards the future. Former leader of the Green Party Prof Femke Halsema wrote a book about imagination and power (of all stakeholders) for the Month of Philosophy. Marianne Thieme, leader of the Party for the Animals (and Nature), made a lively video presentation about the urgency of a holistic view on Planet Earth. Jesse Klaver leader of the Green Party invited Thomas Piketty to talk about his book Capital and its influence on inequality. Norbert Klein started a new party for free-thinkers to build a better society based on open dialogue, basic income and working for real constructive and social politics for everyone. Internationally we saw the French president arguing to Trump that there is no Planet B so we have to work together worldwide! The Sustainable Development Goals are the new guidelines for all peoples of the world to meet each other and work for the earth and the universe as a whole! After the US took their decisions to tighten import/export rules and taxation, also the EU, China and many other countries are now working towards new world trade relations. Consumers of course need to have a fair and sustainable system of world trade rules to get their daily necessities of life. And it is always the consumer him/herself who pays the final price. So hopefully all discussions will lead to the best possible prices. The World Social Forum this year in Salvador/Bahia Brazil was again a great event! It was all about transforming the world into a one we want. Between hundreds of workshops there was one session about what to expect from the results of the World Economic Forum in Davos Switzerland last month. Seen from the perspective of the consumer-producer dialogue which becomes more and more daily, monthly and yearly activity worldwide represented by consumer organizations and marketing departments, it is interesting to see that producers and trade and marketing are also gearing up their activities to find the best possible business models. To achieve modern and mature dialogue about our daily necessities of life according to sustainability, true pricing and responsible lifestyles. We can read about those intentions not only in the guidelines of ISO 26000 or the GRI guidelines for Global Reporting but also in the book that Klaus Schwab (founder of the World Economic Forum) published last year: The Fourth Industrial Revolution ISBN 978-0-241-30075-6. 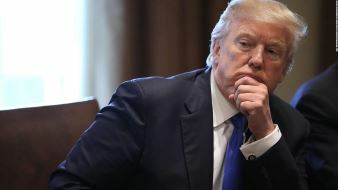 He also makes the statement that transforming the world is of course only possible when ALL STAKEHOLDERS are involved and acting towards the world we want! The 48th World Economic Forum in Davos Switzerland was a great week where the whole world met each other to think and discuss about the future we want especially looking from the economic points of view. About sustainable and social progress towards the Global Goals Agenda 2030 and beyond. Special guest Malala spoke about the crucial role of education for girls and women not only for more equality in living and income but also for the "female" qualities in business and world trade needed to work forward to more sustainability and social progress in general. Also the Monsanto Tribunal last April in The Hague was like a wake-up call to the whole world that genetic engineering is still a great threat if used for commercial purposes only without asking the essential ethical and environmental questions about the sustainable future of mankind. 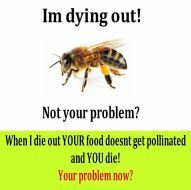 Although the honeybees are the ambassadors of nature we have to make the right decisions as human beings, as consumers, as citizens, and as presidents as well ..... !